After spending the night around Bryce Canyon, we hit the road again to our next destination: Antelope Canyon. This was the one location that I insisted we visit when we planned for this road trip. 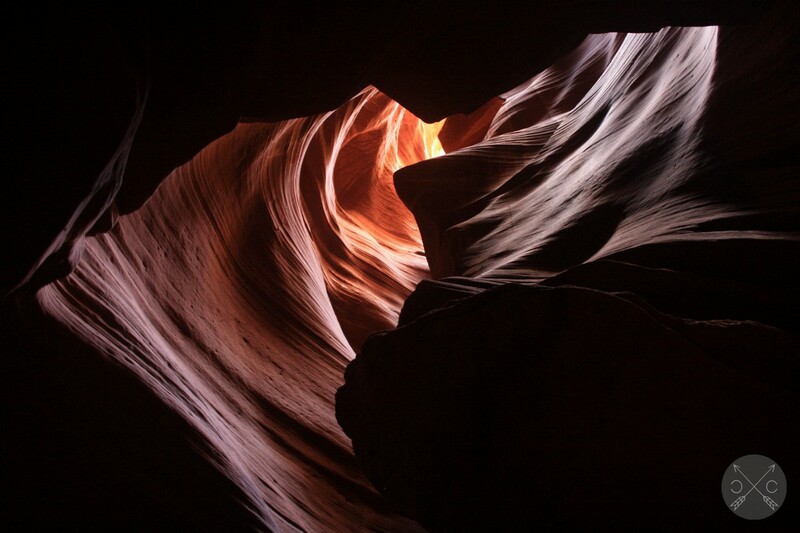 I was convinced after seeing so many incredible pictures to go see these beautiful slot canyons for myself. 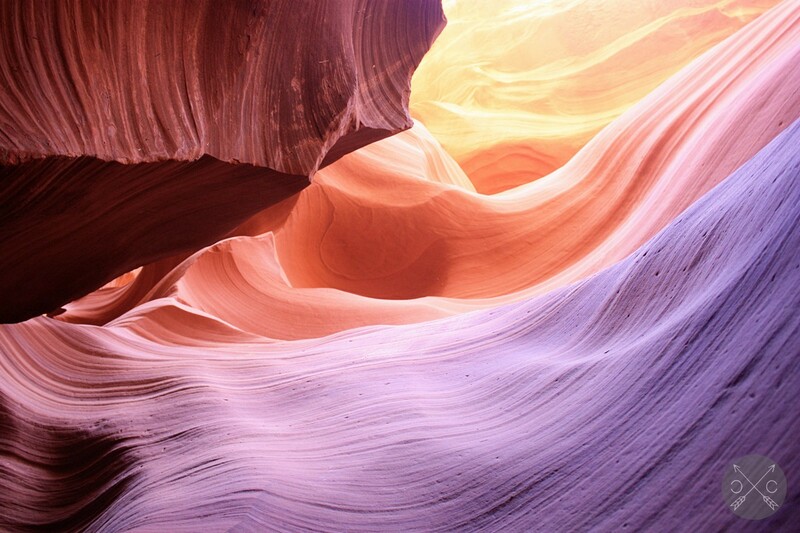 MAJOR TIP: Antelope Canyon is not part of the State National Park system. 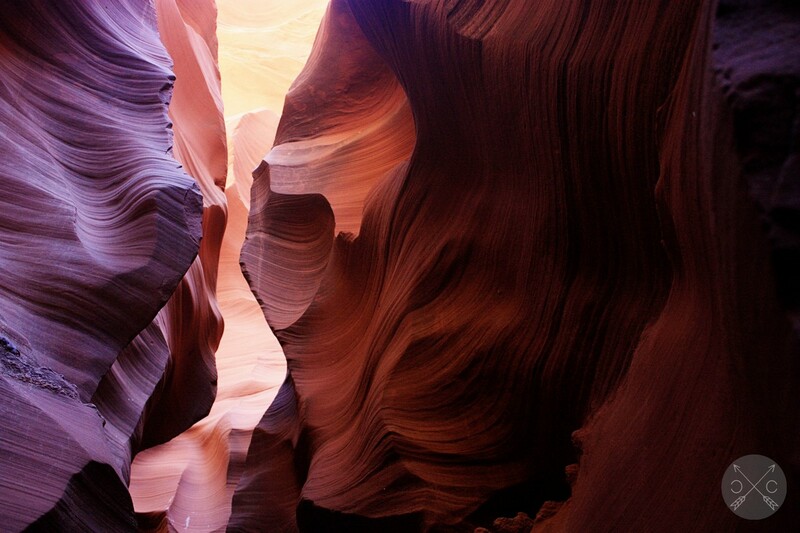 The only way to see the Upper and Lower Antelope Canyons is through a tour. I have provided the tours that we went on at the bottom. However, there are more tour companies available. Book in advance to guarantee a spot when you arrive (dependent on weather conditions). Why do you have to go through a tour, you ask? Well, these slot canyons are located right on Navajo land. They have been a very sacred part of their culture and still are. 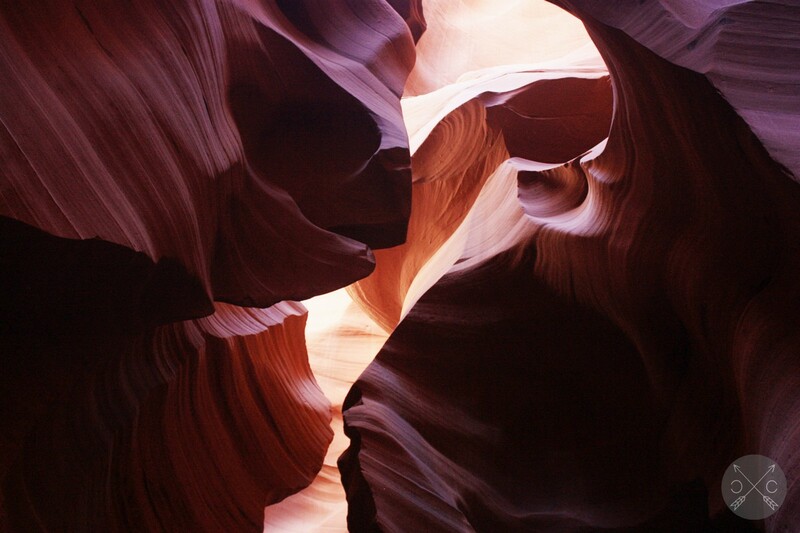 It is gracious of the Navajo to share the beauty and spirituality of Antelope Canyon with the public. Our tour guide grew up with these canyons in his backyard and he reminisced with us on what a large part of his childhood these canyons were before they were opened to tourists. From outside the canyon, it does not seem like much. Below is Rattlesnake Canyon where there is a much wider “slot” that lets in plenty of light, unlike the Upper and Lower Antelope Canyons. You can already see how rainfall and flash floods created these canyons from the ripples formed by the erosion of sandstone. 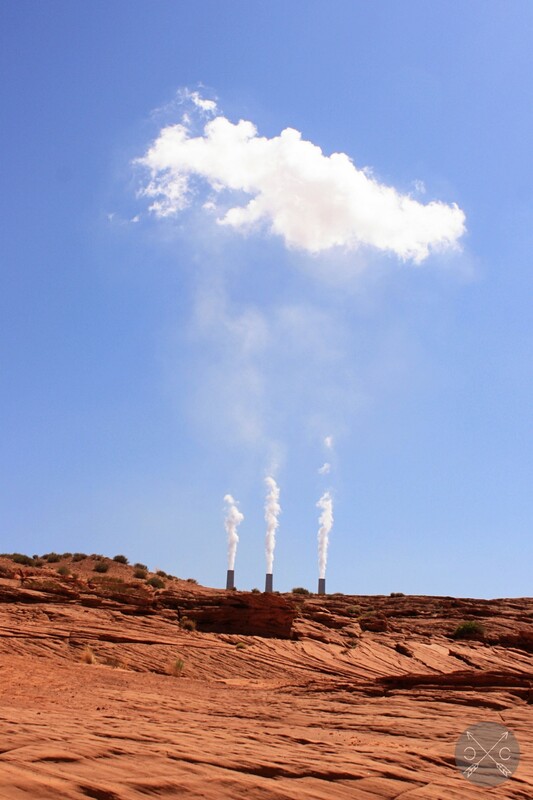 Completely out of place, the Salt River Project-Navajo Generating Station (a nuclear plant) can be seen in the background before entering Lower Antelope Canyon. It’s a shame that it exists on the same site as these beautiful canyons. I must warn that rainfall and flash floods regularly occur during the summer. When we first arrived in Page, Arizona, no one was allowed to enter Lower Antelope Canyon due to a flash flood that occurred the night before. The tour companies do a sweep of the slot canyons, cleaning any debris and making sure there are no hazards, before letting any tourists in. We had perused through plenty of pictures before arriving, but we were completely awestruck with the real deal. 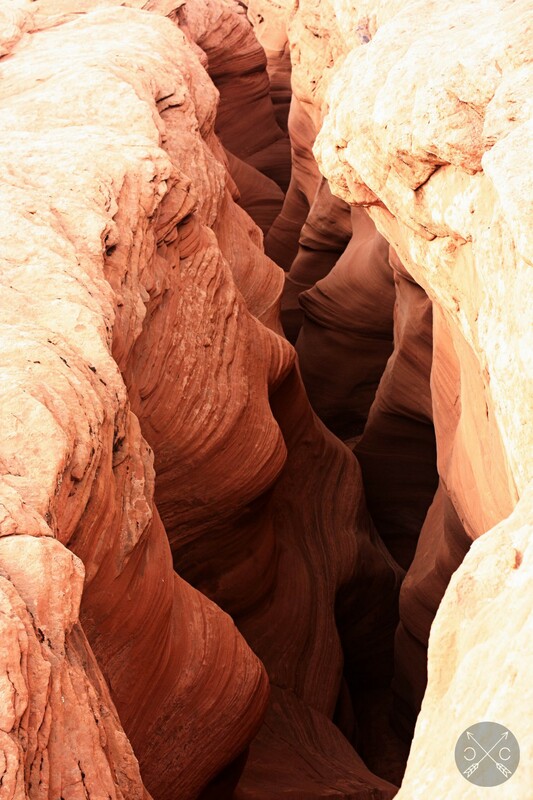 It’s sooo crazy to know that these canyons were carved out by rainfall and flash floods! For some context, we were walking in between these narrow canyon walls, sometimes squeezing ourselves through the cracks. Lower Antelope Canyon has much more light than Upper Antelope Canyon, which allows for better photography without a tripod. 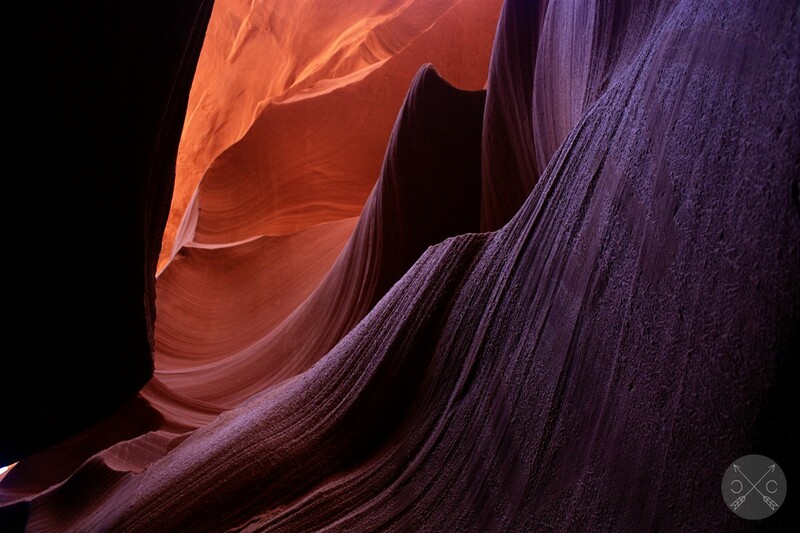 It is also more inexpensive than going to the Upper Antelope Canyon tours. However, the upper canyon still offers beautiful views with lovely contrasts between highlights and shadows as you walk through. 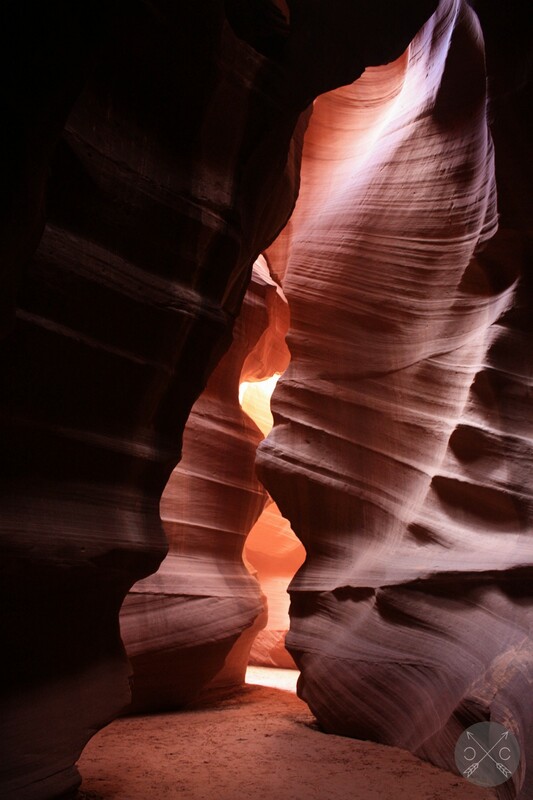 This canyon lets light leak in slowly and is more infamous for the beams of light that occur in the morning. We did not catch this when we were there, but hope you are able to on your own trip! I am still awestruck looking back at these photos. You can see both lower and upper canyons (and more) in just one day. There are plenty of places to eat in Page, AZ, but there is not much else to do after viewing the canyons unlike Bryce Canyon. For more activities, you can venture out to Horseshoe Bend, Glen Canyon Dam or Lake Powell. We were a bit delayed in our trip due to the weather conditions that closed the lower canyon. However, we only needed to account for a few hours in the morning to see and fit in Lower Antelope Canyon before heading out to our next stop. 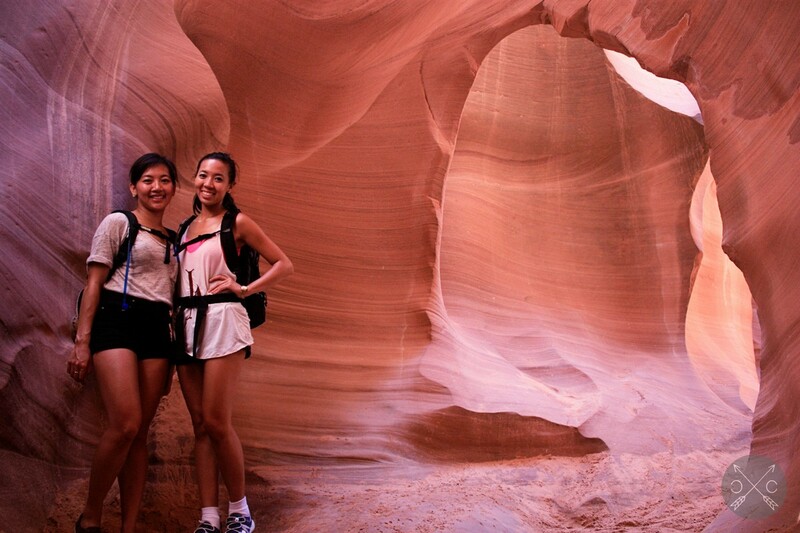 All in all, Antelope Canyon was the absolute highlight of our road trip. If you plan on doing a similar trip, this is an absolute necessary stop! Note: The locals warned us that plugging in an address will lead you to the wrong destination, so use the GPS coordinates. I agree with Tuwie! These photos are seriously amazing!! !